Between the reign of Muhammad Ali Pasha (1805-48) and the end of the Second World War, a dramatic transformation of the Egyptian sociopolitical scene took place, particularly within the confines of the ruling class. During that period, and owing in large measure to Muhammad Ali's reforms, a new class system emerged, with its revised gradations from lower to upper strata. 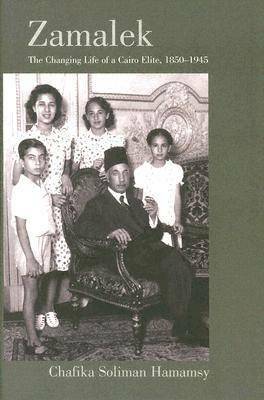 The central concern of this book is the change that took place in upper-class Egyptian society, from a staunch conservatism toward more westernized, liberal norms in the hundred years spanning the turn of the nineteenth century. The district of Zamalek, on the Nile island of Gezira, became, for a variety of reasons, the preferred neighborhood for a fast growing, rapidly evolving upper middle class, and by the mid-1920s it had become the abode of an elite group whose way of life was manifestly more westernized than that of its predecessors. Zamalek was the focal point of social change, and its elite role models actively engaged in the creation of these new social norms. By following the lives of one family, this book describes how these people lived, interreacted, and changed, often under the impetus of international events, and looks at some of the beliefs and traditions upon which their life was based. As Egypt enters the twenty-first century with a noticeable reappearance of the veil and an apparent return to the values of the past, this account by someone who grew up within that group is a timely examination of the social westernization of twentieth-century Egypt, the forces that led to it, and the events that made it possible.